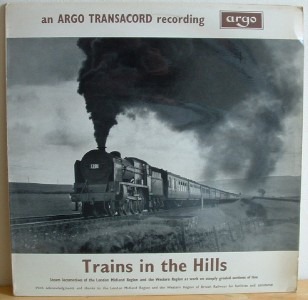 The TR (mono) and ZTR (stereo) series was used almost exclusively by Argo for LP issues (and re-issues) of Peter Handford’s Transacord steam railway recordings. 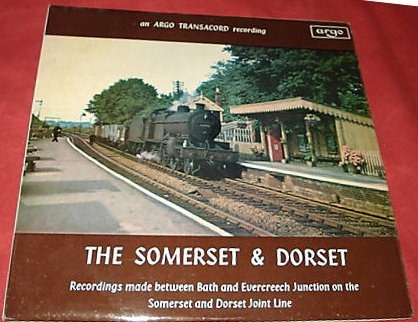 Although the dates given on the discs and covers were often those of the initial releases, as far as I can work out the TR and ZTR series began to be issued in 1969 and were initially taken up with re-releases of DA and ZDA series albums (see comments below). For 7" ‘steam’ EPs, see the EAF/ZAF series. 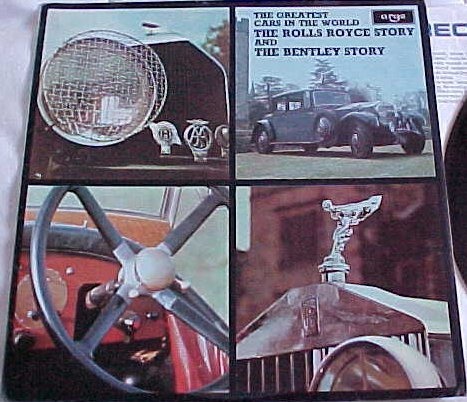 ‘Steam’ LPs were also issued on the DA/ZDA series and the SPA ‘The world of…’ compilation series that Decca were pushing hard from 1969. Steam locomotives of the former NBR. LNER and LMS at work at various locations on the West Highland line, during winter and spring, in the 1950s. Cover here is from 1969 re-release, I think. 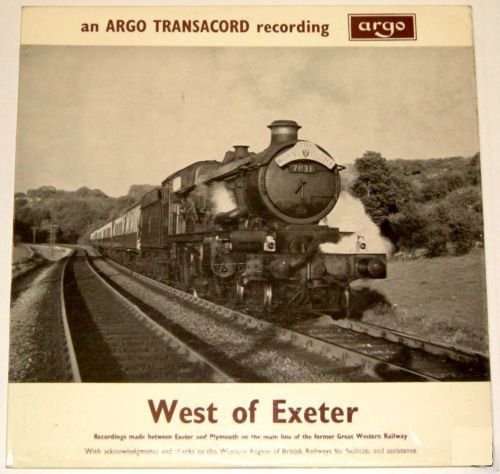 1957 and 58 recordings of GWR steam locomotives at Dainton and Exeter and from inside signal boxes at Tigley and Exeter. Journey on Waverley Express, hauled by Jubilee 4-6-0 Newfoundland, between Hellifield and Blea Moor. 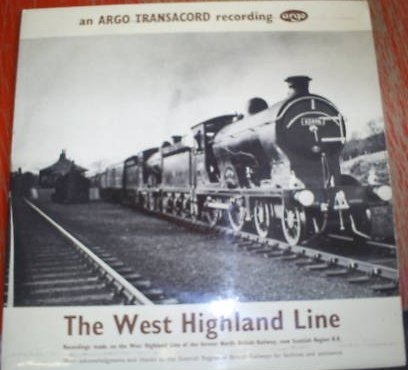 Lineside recordings at Dent and Ribblehead in 1960. 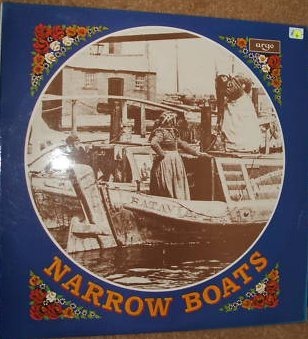 First Peter Handford stereo recording issued? 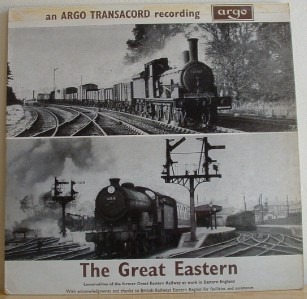 1950s recordings of locomotives of various classes at work on Great Eastern lines. 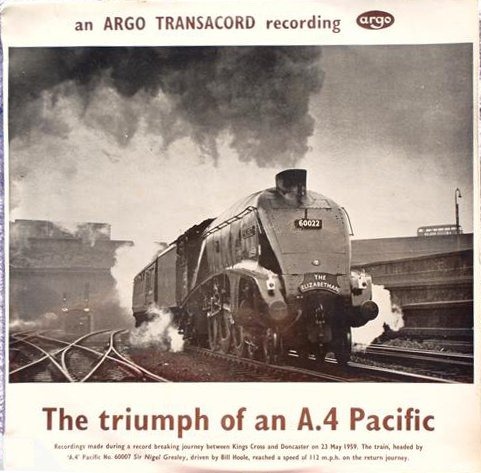 Recording of May 1959 record-breaking run between Doncaster and Kings Cross on the SLS special train, headed by Sir Nigel Gresley driven by Bill Hoole. 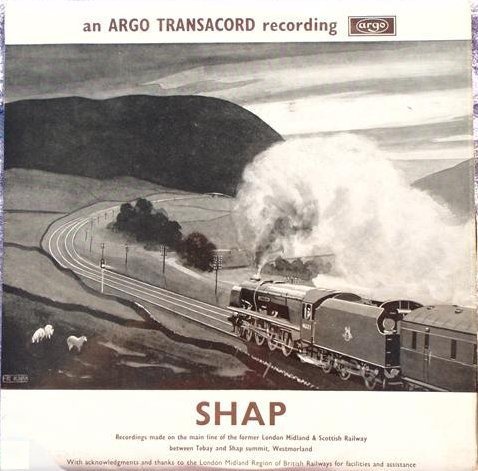 Lineside recordings of locomotives of the London Midland and Western regions at Shap, Blea Moor, Abergavenny and on the Lickey Incline. 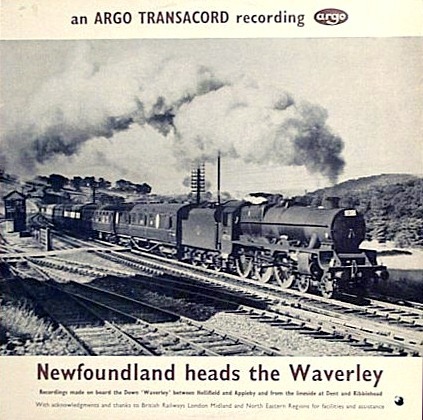 Lineside recordings at Tyndrum, Tyne Dock, Hitchin, Templecombe, Montrose and Barkston Junction. A journey on a special train, hauled by the Midland Compound 4-4-0, No 1000. 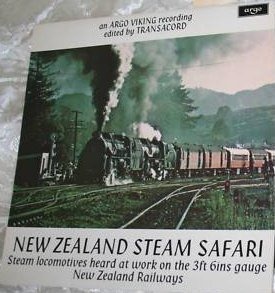 Footplate recordings of: an A4 Pacific with Aberdeen-Glasgow express, a V2 2-6-2 with an Edinburgh-Dundee freight train, a Class 5 4-6-0 with a Swansea-Shrewsbury passenger train and an 8F 2-8-0 with a Shrewsbury-Swansea freight train. 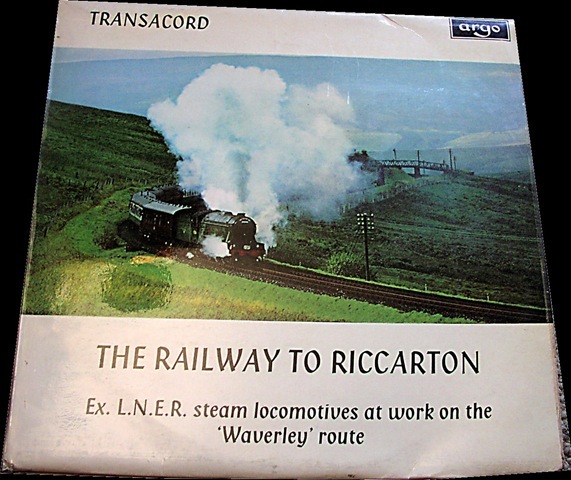 Nine-track compilation featuring The Waverley Route, The Lickey bank, Basingstoke, The West Highland line (Ardlui), Bargany (NCB line in Ayrshire) and Shap. 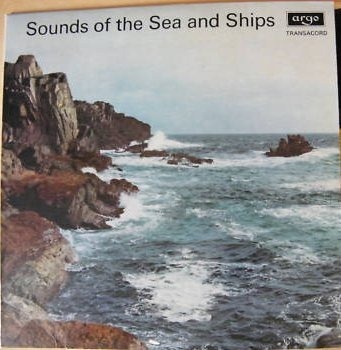 Tracks include: On the sea shore: The soft sea of a summer afternoon; The angry sea of winter; The lighthouse sounds its warning in a sea mist. A foggy night in a busy port; Crossing the Mersey on board the SS Clang/ton. On board a steamship: In the engine room and on deck. On board ship: At sea in foul weather. Evening in harbour: The fishing boats leaving harbour at Whitby. 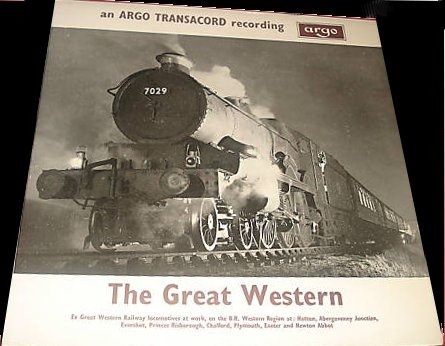 Lineside recordings of Great Western locomotives at Hatton, Abergavenny, Chalford, Princes Risborough and Evershot. 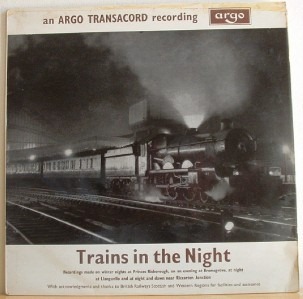 Recordings made during a night at Grantham Station, on the Scarborough-Whitby-Pickering line, on the Central Wales line, on the Lickey Incline, on the Stranraer-Ayr line and at Talerddig Station. Steam railways of the western division of the SNCF, the Northern division at Caffiers, the South Eastern region at Randan & St Germain-des-Fosses and South Western region at La Bourboule. Locomotives include G class pacifics, R class Mikados, P class 4-8-2s. 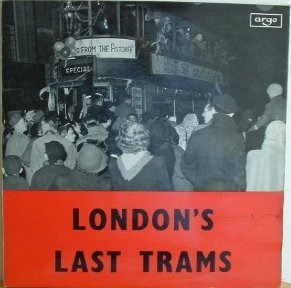 A documentary recording of the closing down (1950-52) of London’s Tramways. John Holmes (narrator) with the voices of Robert Mellish, J. Geoghegan, K. W. K. Edgley, A. Carr, E. Ling Cooper, and J.C. Hounsfield. Made by amateurs with the primitive tape equipment of the time. 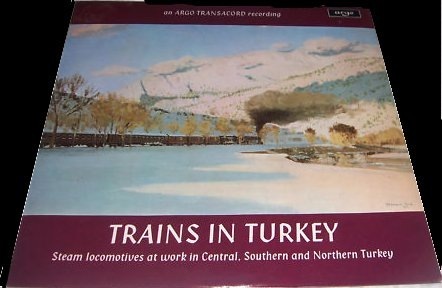 Lineside recordings of 5ft 6in gauge steam locomotives at work on the Spanish Railways RENFE: a La Parrilla and near Fuente la Higuera; on the heavily graded Valencia-La Encina line; climbing near Vilavert on the Tarragona-Lerida line and at Castejon de Ebro, an important junction on the Zaragoza-Miranda de Ebro and Madrid-Pamplona lines. 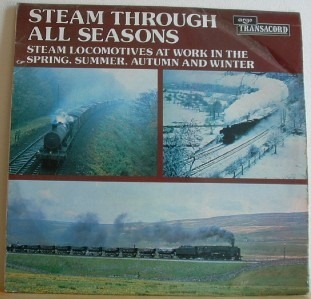 Locomotives at work at Talerddig, Basingstoke, Llanvihangel, Princes Risborough, Gresford and Evershot Tunnel. French Railways (SNCF) locomotives of various types at Breaute, Beuzeville, Argentan, St Germain des Fosses and Eygurande, plus a journey on a steeply graded line in the Auvergne. TR 127 1970? Charlotte Mitchell – Twelve Burnt Saucepans. 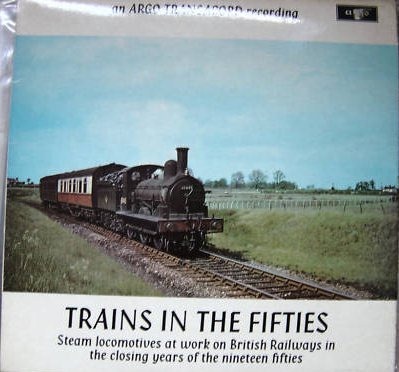 Sub-titled "A family year – seen through the haze -in verses written and read by Charlotte Mitchell"
1959 recordings of locomotives of various types, working goods and passenger trains on the Lickey Incline, between Bromsgrove and Blackwell. 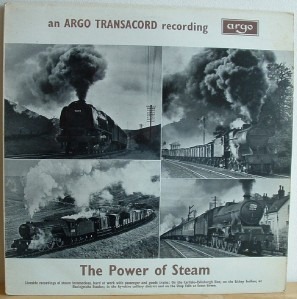 1970 recordings of locomotives, goods and passenger trains made in various locations in West Germany. 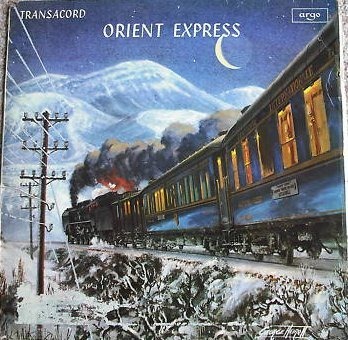 18 separate steam locomotives featured on a typical journey on the Orient express from Yugoslavia to Bulgaria, Greece and Turkey. 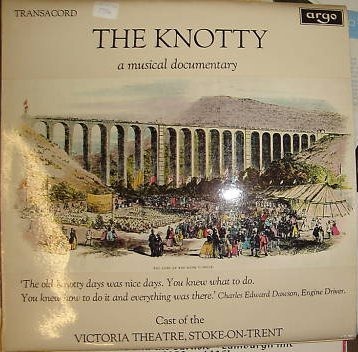 Recordings made on a number of journeys between 1965 and 1970. 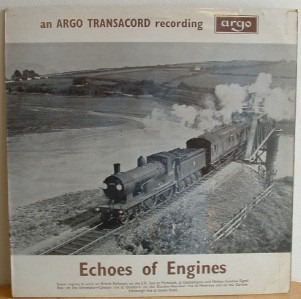 Late fifties recordings at work at Hitchin, Durham, Abergavenny, Beattock, Basingstoke and Llangunllo. 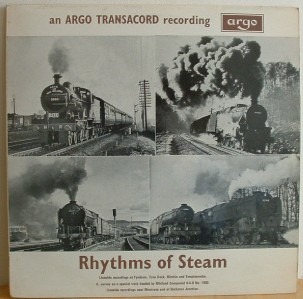 Recordings of LNER steam locomotives at Kings Cross, Hitchin, Peterborough, Stoke Tunnel, Retford, Edinburgh and Whitrope. 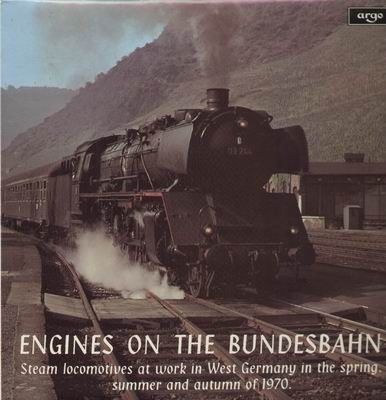 East German and West German Pacific locomotives and other types at work in West Germany. 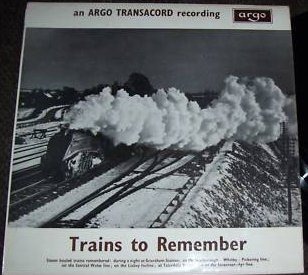 A companion record to ZTR 129, Engines on the Bundesbahn. London Tram class E/3-Kingsway Subway. Paddle Steamer "Medway Queen". London Tram class E/3Route 33. London Bus LT type-Route 227. London Tram class E/3-Plough Change. Floating Bridge-Portsmouth Harbour. London Tram exWest Ham-Route 38. Portsmouth Corporation Buss-Route 38. The Mersey Railway. London Tram class E/3-Route 31. London Underground_ InnerCircle. LMS type locomotives built in Derby or Crewe at work at different locations on British Railways. 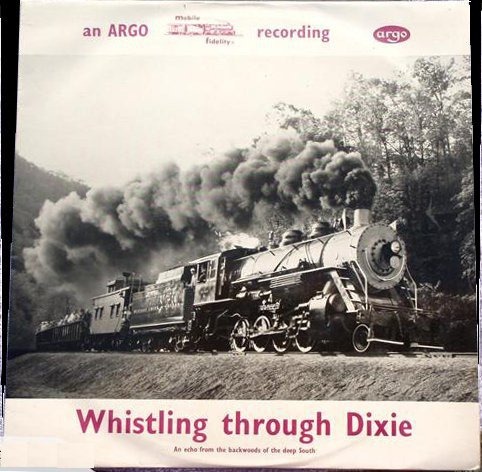 Recorded between 1955 and 1965. 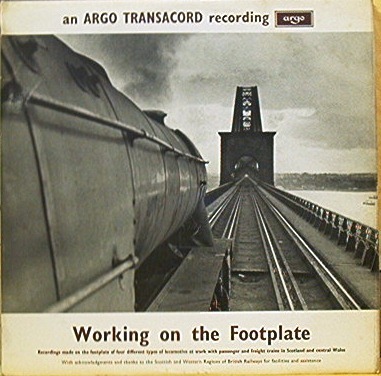 Not a Transacord recording, but one made by Rob Woodward and Nigel Fletcher, the founding members of pop band Staveley Makepeace, who had a novelty No 1 hit for Argo parent company Decca as Lt Pigeon in 1972 – Mouldy Old Dough. 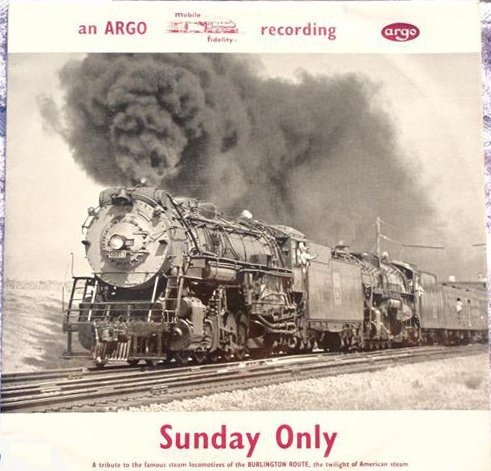 Their Argo recordings are available repackaged in CD format here. Info courtesy Mark Jones, who’s got a book on Transacord due out in 2011. 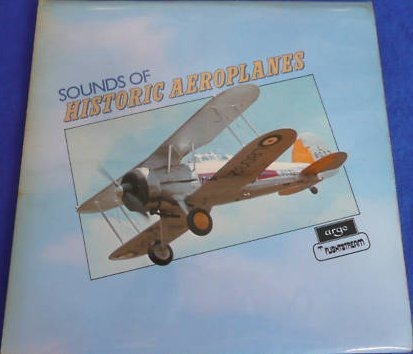 Compilation featuring Britannias, Stanier Black Vs’ in the early morning over Stranraer-Carlisle line, 8Fs, Fowler Tanks 2-6-4T, Coronations & Citys over Shap at dawn, GWR 28xx 2-8-0, Kings and Merchant Navys on Chester-Shrewsbury line, S & D country for 2Ps, Schools & Std Vs n the afternnon, plus Carlisle Settle in late evening with more Black Vs fighting the wind and gradient. 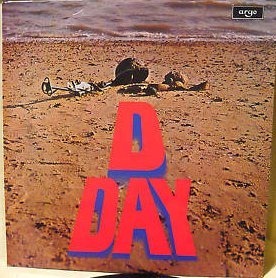 ‘The Authentic Sounds of D-Day’, recorded in June 1944. 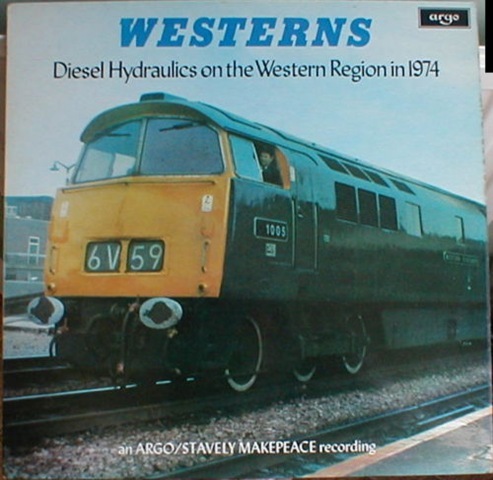 Another Staveley-Makepeace recording, available as repackaged CD here. 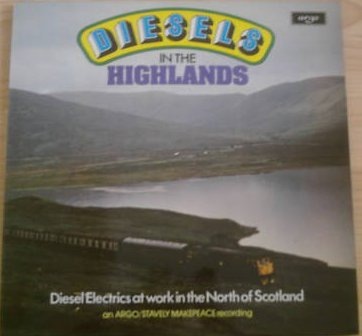 Another Staveley-Makepeace recording, featuring BRCW Class 26’s Sulzer Class 25’s, 40’s , 47’s and a 6 car DMU on the far north lines inc the Kyle line, the freight line from Aberdeen to Fraserborough and Carrbridge to Inverness. Available as repackaged CD here. Thanks to Mark Jones for info. 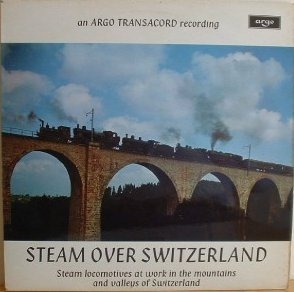 Steam locomotives of various types, at work on railways in England, Scotland, Wales, Germany, Italy, Romania and Yugoslavia. Steam locomotives at work at Barkston Junction, Llanvihangel, Princes Risborough, Bromsgrove, Knucklas and on the climb to Qhitrope Summit. Abroad, a Maffei Pacific in Romani a, a 2-8-0 in the Dolomites and a 2-10-0 in Germany. ~ by folkcatalogue on April 27, 2010. 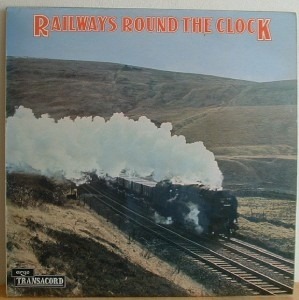 I am trying to find a copy of ZTR 113, DA 28, Rhythms of steam, on cd, do you think this is possible? thank you. I have an image of ZTR 126, The Railway to Riccarton. Send me an email if you would like it. I see it’s missing from your catalogue. 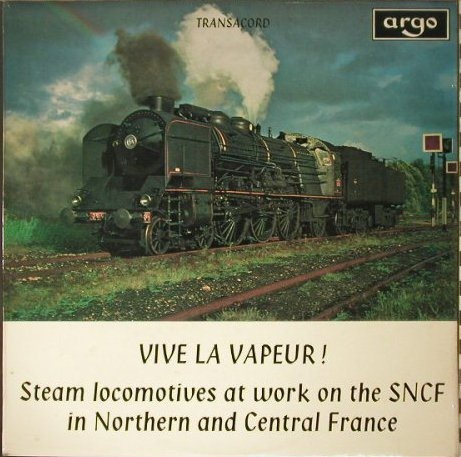 DA 115 Vive La Vapeur. In both Decca catalogues and 1969 LP trade release publications I have only managed to find documentation of the TR 124 issue, issued in 1969. 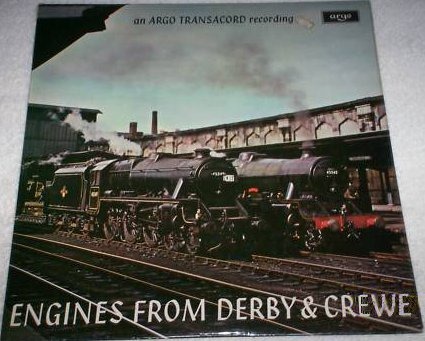 If this is correct, then it would appear that Decca had already assigned (Z)TR numbers to the (Z)DA series in advance of the main reissue thrust in early 1970. I am very interested in any evidence for a DA issue as I am currently writing a book on Transacord! I can also fill some of the ZTR sequence gaps if you would care to get in touch with me! Meanwhile, thanks for a very informative website – it’s very nice to come across fellow discography buffs! Cheers! Good question. Now you’ve got me confused. I think I got my information about the DA 115 release from the ‘alextrack’ website. See here. 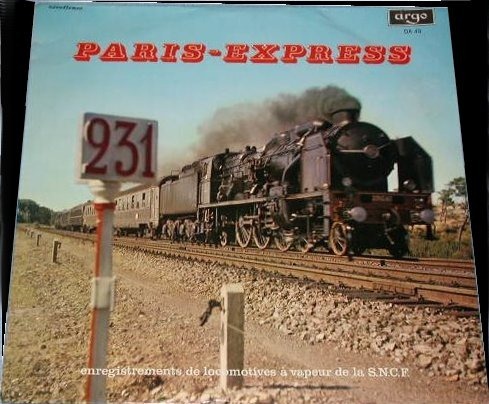 Needless to say, I haven’t seen the back cover of the Vive la Vapeur pic that’s up on the TR list post. 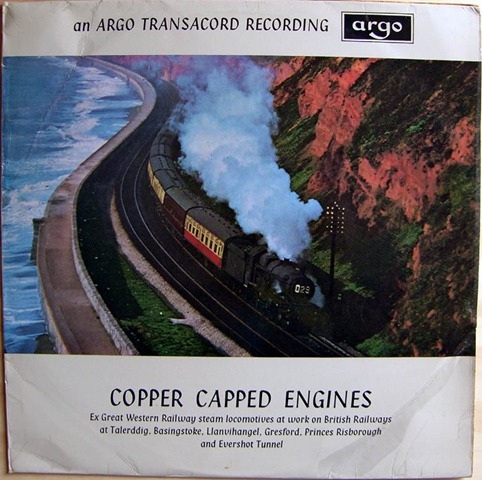 The last (Z)DA Transacord release reviewed by the Gramophone was DA 109 Copper Capped Engines in October 1969. In the following month Vive la Vapeur was reviewed as TR 124. 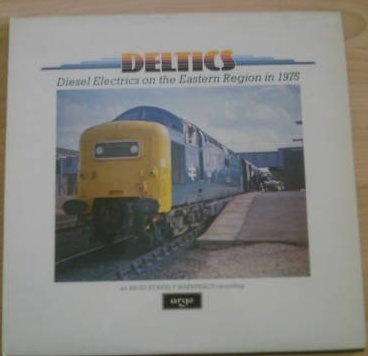 But Decca didn’t start deleting the DA railway series till early 1970. So yes, they did have the issue numbers assigned before 1970 (well, at least some of them). 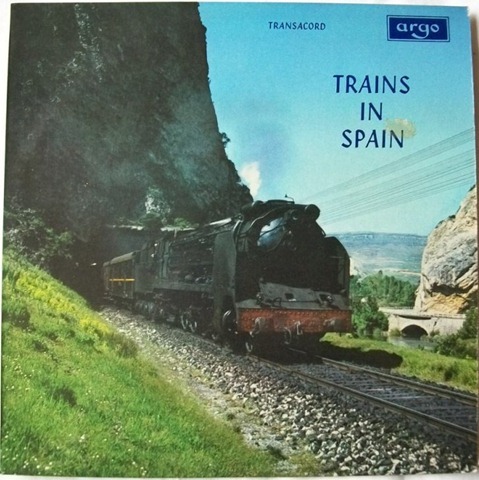 Sorry, this is probably not much help, but I guess that the three (Z)DA releases of 1969 – the two mentioned plus Trains in Spain – got caught up in the transition and were always planned to have only a limited shelf life as DAs before the reorganisation of railway LPs into the (Z)TR series. Cheers for the offer of gap-filling. I’ll email you. 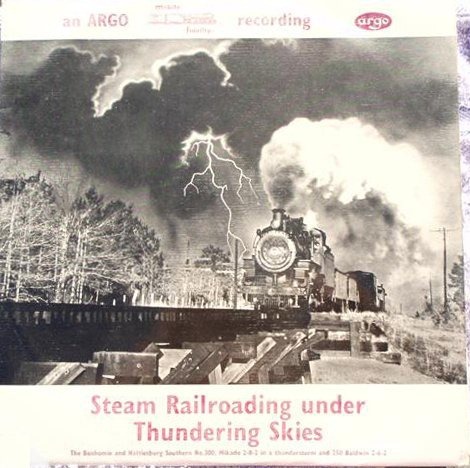 I have a poor quality cover picture of ZTR 135 Steam in Slovenia taken from a recent auction on eBay which I can send you if you are interested.